WI Life readership questionnaire - click HERE to let them know your views. Deadline 29 April 2019, chance to win two theatre tickets! Silverdale WI, in rural North West Lancashire, has about 75 members and welcomes women of all ages. We have a regular monthly meeting (usually first Thursday of the month, 7 for 7.30pm in the Gaskell Memorial Hall), generally with an outside speaker, and many other activities both regular (walking, dining out, Rummikub, floral art group, book group, coffee, drinks) and occasional (theatre trips, climbing wall, history walks, craft events, ten-pin bowling, watersports, etc). Do come and join us! We are part of the National Federation of Women's Institutes, and hold joint events with the local Dallam Group within the Cumbria-Westmorland Federation of WIs. Membership of Silverdale WI costs £42 for the year 2019 (it's a national rate, and new members joining mid-year pay pro rata). 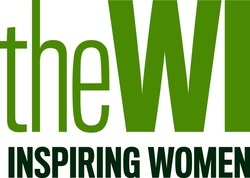 As well as all our local actitivities, membership benefits include the monthly Cumbria-Westmorland Federation newsletter (available at meetings); eight issues a year of the magazine WI Life (by post); and access to a wide range of group, federation and national activities including courses at the WI's Denman College near Oxford. If you are interested you are welcome to come to a few meetings as a visitor (suggested donation £3) before deciding to join us.